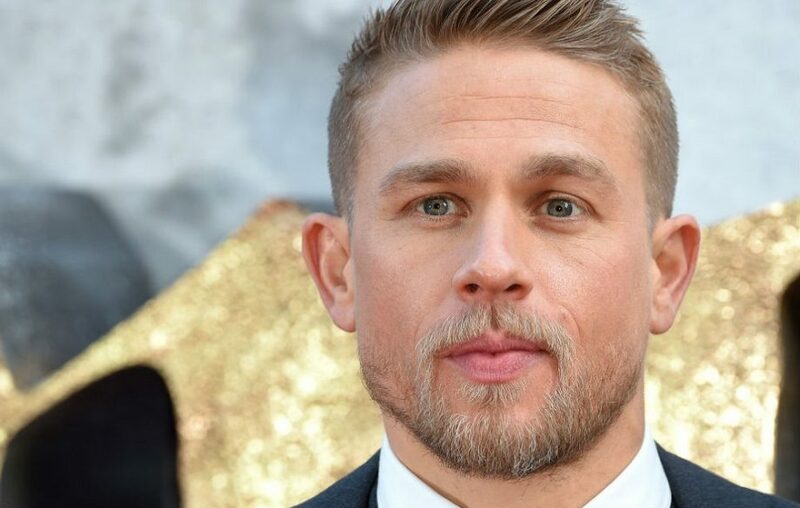 Charlie Hunnam - Bio, Married, Wife, Girlfriend, Height, Net Worth, Age, Is He Gay? Remember Raleigh Becket, the Anti-Kaiju-Wall construction worker turned Jaeger Pilot, in the 2013 sci-fi film, Pacific Rim? Okay, maybe not. How about Jackson “Jax” Teller in the drama series, Sons of Anarchy? That interesting show about a prominent motorcycle club in a small fictional town somewhere in California. Remember? Yes! All that was Charlie Hunnam. From a brief comical show at a shoe shop to the big screens of theatre, Charlie Hunnam’s rise to stardom is laced with stories that are incredible as his personality and looks. If you’re wondering how it all happened, sit tight and enjoy the ride. We not only dig into the bio, net worth or height of this stunning actor and model (I bet you didn’t know he is a model), we also bring you details about the woman in Hunnam’s life. More than that, we show you the woman who used to be his wife. Let’s dig! Charles Matthew Hunnam was born on 10th April 1980 in Newcastle upon Tyne, England to William “Billy” Hunnam and Jane Bell. The Hunnam’s were a family of modest means. Hunnam’s father, Billy, was a metal scrap seller while his mother, Jane, was a ballet dancer and business owner. Hunnam’s childhood wasn’t free of controversy. His father abandoned two-year-old Hunnam, his elder brother, William, with their mother, forcing her into single parenthood. In hindsight, Hunnam later admitted that his mother did a “very good job” at being a single mother. Her later remarriage made Hunnam the second of her four children. He later had two half-brothers, Oliver and Christian. When he was twelve, Hunnam moved with his mother to the village of Melmerby, Cumbria. She was newly remarried at the time. As a boy, Charlie Hunnam struggled to read and write. He was later diagnosed with dyslexia, a condition that makes it difficult for its sufferers to read and write, among other symptoms. He also suffers from misophobia; a fear of germs. Growing up, he played so much of rugby and would often fight with his classmates, leading to his eventual expulsion from Queen Elizabeth Grammar School, Penrith, Cumbria. Hunnam was left with no choice than to school from home. Following his graduation from high school, Hunnam went against the tide, choosing rather to attend Cumbria College of Art and Design in Carlisle instead of a regular University. While there, he studied Performing Arts and graduated with a degree in the theory and history of film with a side in performing arts. Hunnam wanted to write and direct his own films. Hunnam’s decision to attend Cumbria College was perhaps no mistake. The young chap may have just discovered his strength zone and he wasn’t willing to trade it for anything. While shopping for shoes on a Christmas Eve, Hunnam’s clownery caught the attention of a production manager for the Newcastle-based children’s show Byker Grove. He later landed a major role in three episodes of the show. Hunnam’s candle had been lit. About a year later, Charlie Hunnam appeared in Russel Davies’ drama Queer as Folk. He would go on to appear in Whatever Happened to Harold Smith? (1999), Abandon (2002), Nicholas Nickleby (2002), Cold Mountain (2003), Green Street (2005) and Children of Men (2006). However, Hunnam’s best days were just around the corner. His incredible performance in Green Street drew the attention of another producer. The breakthrough came in 2008 when he began to appear in the widely-viewed show, Sons of Anarchy. He would spend the next six years starring as Jackson “Jax” Teller in the show. Sons of Anarchy was a show about a famous motorcycle club in a small fictional town somewhere in California. Since then, the English actor has appeared in several movies and series like The Ledge (2011), 3,2,1… Frankie Go Boom, Deadfall (2012) and the most popular of all, Pacific Rim. Pacific Rim was released in July of 2013 and grossed $411 million worldwide. But for clashes in his schedule, Charlie Hunnam would have played the lead role of Christian Grey in the popular movie adaptation of E. L. James’ novel Fifty Shades of Grey. He appeared in the horror film Crimson Peak, in 2015; starring alongside Mia Wasikowska, Tom Hiddleston, and Jessica Chastain. A0bout a year later in he appeared as Percy Fawcett in the adventure drama The Lost City of Z. Hunnam also starred in the action-adventure film, King Arthur: Legend of the Sword, which was released in May 2017. Charlie Hunnam’s roles have landed him several nominations and awards including a Critics’ Choice Television Award nomination, three EWwy Award nominations for “Best Lead Actor in a Drama series,” and a PAAFTJ Award nomination for “Best Cast in a Drama Series.” In June 2014, he also bagged the Huading Award for Best Global Emerging Actor, for his role in the Sci-Fi film, Pacific Rim. As of early 2019, the British actor and screenwriter worth $16 million; much of which must have come from his extensive acting career. Where all that money flows to in investment is hardly known to the public, but we might just have a clue. In late 2016, credible sources had it that Hunnam sank $2.762 million into the acquisition of a Hollywood mansion owned by former SiK frontman Tony Clearwater. Who is His Girlfriend, Is He Married (Wife) or is He Gay? Let’s start with the obvious, Charlie Hunnam is taken! Yes, you heard it. The “hot-bodied” star has had his own history with love and breakups, but that doesn’t negate his current happily-married state. And in case you were wondering who the lucky woman is, let’s find out together. Charlie Hunnam began dating artist Morgana McNelis since 2005. But Morgana’s portfolio seems too diversified to fit into the artist-only-box. She is a top-notch jewelry designer, and the brain behind Maison de Morgana. Just so you don’t miss the details, she handcrafts rings, bracelets, earrings, and necklaces from brass and white bronze and no, she’s not a blacksmith, as we know it. C’mon people, art evolves, doesn’t it? But she wasn’t always this successful, who was? Before launching out on her own, Morgana owned a jewelry store with her sister back in 2007. But the business was dead on arrival, as the launch date terribly coincided with the 2008 economic crisis. Morgana, not the type to chicken out too quick, had said that although they couldn’t get the company off the ground, the experience taught her that within every obstacle is a seed of opportunity. Wow! She could also double as a motivational speaker, you know. That seed of opportunity will later grow up to become the Maison de Morgana we know today. While Hunnam may have found love in Morgana, she wouldn’t be the only woman he has dated or even married, if they ever get to marry. Back in 1999, Charlie Hunnam and his ex-wife, Katherine Towne, had bumped into each other at an audition for Dawson’s Creek. The chemistry was so much more than Hunnam had ever felt. After only three weeks of dating, the two lovebirds strode down the aisle hand-in-hand. But their union hardly saw its fifth anniversary. Three years later, in 2002, they went their separate ways for good. Hunnam would go on to date model Sophie Dahl, actress Stella Parker and film producer Georgina Townsley. And just to add, Hunnam isn’t gay. We’ll be stating the obvious when we say, “Hunnam’s body-build is a model for the male figure.” Did I mention model? Well, Charlie Hunnam had to explore that industry for a short while too. He had the looks, the physique, and the brains. He stands 6 feet 1 inch tall; weighs 82 kilograms and measures 46, 34, and 16 inches for his chest, waist, and biceps respectively. His shoe size is 9 (US), 42 (EU) and 8.5 (UK).